This is one of a pair of commentaries addressing election system reform from two opposing perspectives. The other, by Melissa J. Russell, president of the Registrars of Voters Association of Connecticut, may be viewed here. Connecticut is unique among the 50 states in how we run elections — and not in a good way. We are the only state where there is not an individual — either an elected official or a hired professional — responsible for elections locally. We are the only state where two municipal partisan officials — the registrars of voters — equally share responsibility for running elections. And while new technologies are shaping elections, and the field becomes more regulated at the state and federal levels, no minimum qualifications are required to become or remain a registrar. Connecticut’s registrars of voters are elected municipal officials — and so cannot be removed from office or even disciplined by the town government for misconduct — even though they are not directly elected by our citizens. Once nominated by the Democratic or Republican parties, registrar candidates are each guaranteed victory under Connecticut law, so even elections are not a check. Registrars do not report to the local or state government, and cannot be compelled to follow state election laws or embrace new technology to improve elections. That is why despite the thorough communications on election preparations and training that my office routinely sends to registrars all over the state, we must still spend hours on the telephone answering basic questions from many of them who have not reviewed any of our helpful instructional material prior to an election. For these reasons and more, I have proposed professionalizing election administration in Connecticut by restructuring the office of registrar. After studying our system and other states, I’ve concluded that voters are best served if each city or town hires one registrar of voters to serve as a non-partisan director of elections. My proposal has generated vocal opposition from Connecticut’s registrars. A recent legislative hearing on the bill lasted nine hours. I am not motivated by any personal agenda, and my bill has certainly not won me any new political friends. I am motivated by my mandate as commissioner of elections to provide citizens with every opportunity to participate in their democracy. I admire the dedication of many registrars, but the best administrators are hampered by a system that requires two people to carry out the same job. As the old saying goes, when everyone is in charge, no one is in charge. Our current system creates situations in which one registrar, by virtue of experience or personality, becomes the de facto head of the office. There are personality conflicts that have led to one registrar locking the other out of parts of the office, or even to verbal or physical altercations. Some towns have trouble even filling the office. Yet we are told that every town needs two election administrators from each major party because no one person could be trusted to do the job impartially — that two sets of eyes are a must. I disagree. Must a town hire two clerks, two finance directors or two town managers because it is simply beyond reasonable expectations to hire one person to do those jobs professionally? Why can 49 other states have one professional in charge of elections locally but not Connecticut? An applicant for this new position would be hired based on qualifications and experience, and need not be a town resident. As municipal employees, these registrars could be required to be certified and undergo yearly training, and face real consequences for not following state election laws — like losing their jobs. This would bring Connecticut in line with almost every other state where either a municipal or county clerk runs elections, or bipartisan county boards of elections hire professional administrators to manage voting. Twice in the last four years Connecticut has been nationally ridiculed for serious election administration failures that disenfranchised voters in Bridgeport and Hartford. Yet the registrars whose failures led to that disenfranchisement, including one who is under criminal investigation for voter fraud, still sit in positions of authority running elections in those two communities. Under our current structure, any town could be the next Hartford or Bridgeport. We can and must do better. This is a national issue. President Obama’s commission on election administration, led by prominent election law attorneys from both parties, recommended the highest professional standards for election administrators in their final report. I could not agree more. I was twice elected Secretary of the State to keep my eye on the big picture, and I simply seek the best possible way for Connecticut’s voters choose their leaders on Election Day. The time for change is now; let’s get started. 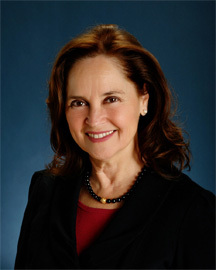 Denise W. Merrill is Connecticut’s Secretary of the State.